Storage can be something of a “black box,” a monolithic entity that is at once mysterious and scary. 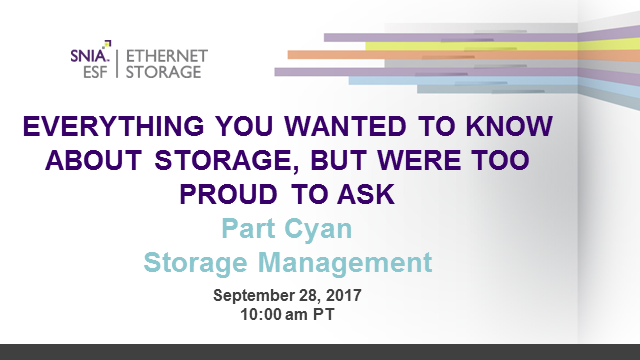 That’s why we created “The Everything You Wanted To Know About Storage But Were Too Proud to Ask” webcast series. So far, we’ve explored various and sundry aspects of storage, focusing on “the naming of the parts.” Our goal has been to break down some of the components of storage and explain how they fit into the greater whole. There’s so much to say on each of these subjects we could do a full webcast on any one of them, but for a quick overview of many of the technologies that affect storage in one place, we think you will find your time has been well spent.